iOS 12.1.2 comes just two weeks after the release of iOS 12.1.1, and one week after Apple seeded the first iOS 12.1.2 beta to developers. It fixes a bug impacting eSIM activation for the iPhone XS, iPhone XS Max and iPhone XR. And it also addresses an issue that affected cellular connectivity in specific regions. 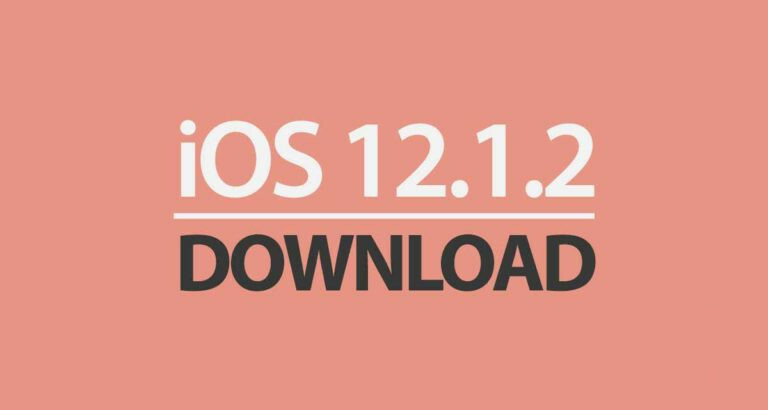 iOS 12.1.2 is available for iPhones only, iPhone users can download it on 3uTools now. Please customized back up your device. Step 1 Connect your iPhone to PC with genuine USB cable and launch 3uTools. Step 2 Navigate to Flash & JB → Easy Flash, selet firmware iOS 12.1.2. If you want to save data, check the option "Retain User's Data While Flashing". And then click Flash. Step 3 Keep a good connection and internet while flashing, wait patiently for around 5 to 10 minutes. Your device will be upgraded to iOS 12.1.2 after reboot. How to Upgrade 16GB iPhone to 128GB through Replacing Hard Disk? 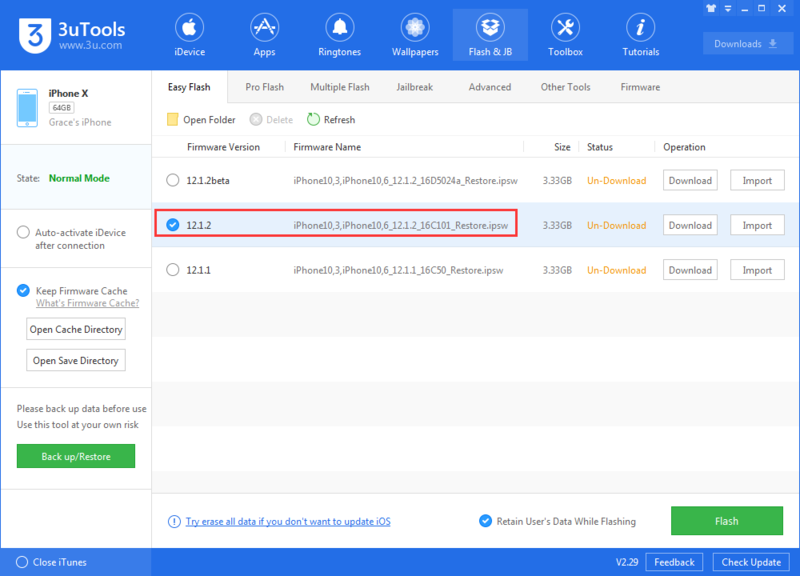 Download iOS 11.2.2 On Your iDevice Using 3uTools How to Backup/ Download SHSH Blobs Using 3uTools? 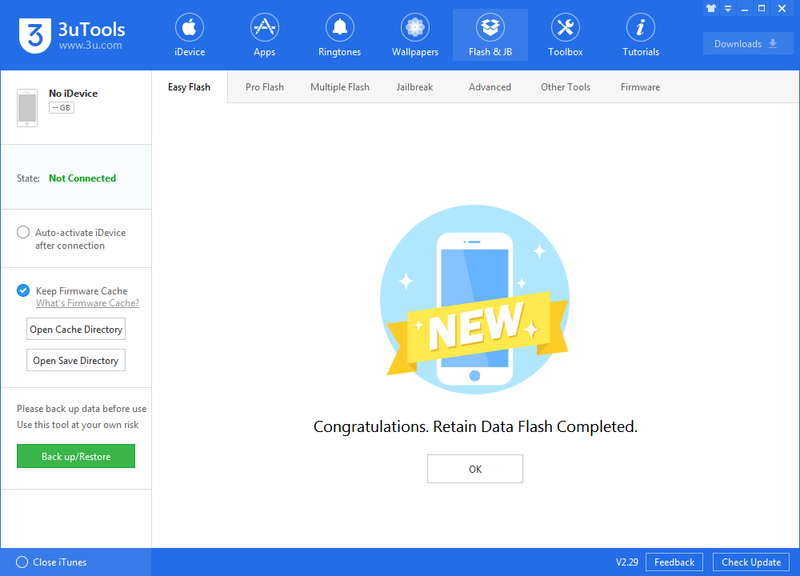 How to Upgrade iDevice Via 3uTools Pro Flash? 3uTools Flashes iOS4.0~iOS11 in Easy Mode Tutorial Why iDevice Failed to flash Frequently? iOS 11.1.2 Is Available For Download Right Now in 3uTools How to Update iPhone to iOS 10.3.2 Beta3 from 3uTools ?